Having a like-minded community that is engaged and shares information can be a priceless resource. As a way to promote this concept, I have been posting “questions of the week” on my Facebook page. I was so happy with the response to the question below, I wanted to share it with my website visitors that may not have seen it. Never assume that other know what you know. Please share your thoughts and ideas whenever you can!
? OF THE WEEK: Parents, what one piece of advice would you give to a teacher new to inclusive education? Ask parents to help develop visual tools by providing pictures of familiar people, places or things. Ask for a “dictionary” of known trigger words or phrases as well as words/phrases that work well. Find out if the student can answer open-ended questions or needs T/F, multiple choice, fill-in-the-blank etc. Does he/she recognize instructions directed to the class or need you to be sure you have his/her attention? Make sure start each day with a positive comment for each student from the day before and end each day the same way. They all love to be caught doing well because all their lives on school the focus has been on the bad. First and foremost, s/he is a child like all the others. With more in common than differences. See the opportunities for learning, not the obstacles. Student families are your partners- and survivors of trauma. Be kind to them and respect their input- no need to be defensive! Focus on a student’s individual strengths and use those personal assets to improve the student’s self confidence within the classroom (academics) and as a model for peers. Turn to the expert – the child’s parent. Build a partnership with them so you can learn about the child’s strengths and needs and gain useful insights and tips on how to best support them in the classroom. Keep an open mind, children with special needs will surprise you with not only their ability but their unique perspectives. Treat every child the way you would want your child to be treated. ALWAYS Remember that all behavior is communication. What is your student trying to tell you? 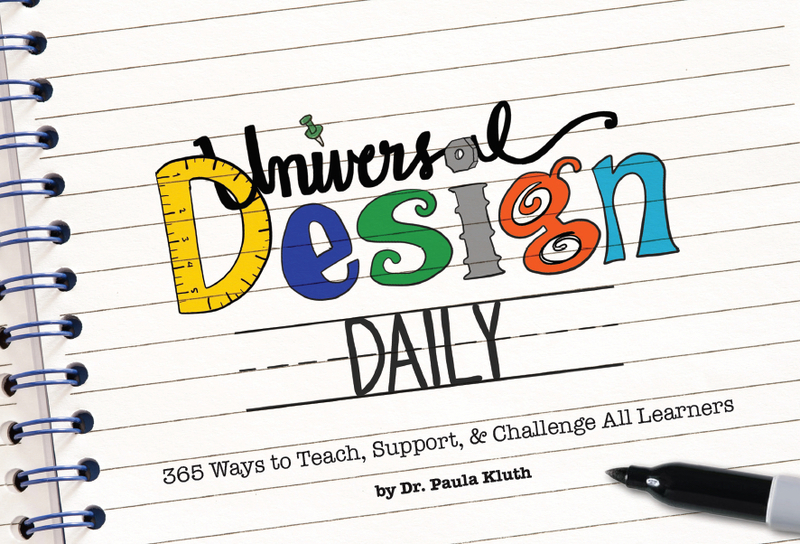 Listen to Paula Kluth’s podcasts, visit her website, attend her conference. Embrace peer modeling and peer support. Children are amazing and open minded without the biases of some adults. It’s NOT always easy but the rewards are outstanding! Read the IEP, and follow it. Parents need positive reinforcement rather than judgement. Believe that all students can learn. Presume competence, provide praise and reward successes. I would recommend meeting with the parents and get a list of “dos and don’ts” that have proven to be successful for their child. I would also look at what can be done differently if needed to help the child(ren) who are differently abled succeed in your classroom. I have always believed if a child isn’t getting something we need to change the way we teach it. Co-teach – get the regular ed teachers on board. Presume competence. Have high expectations. Realize that older students may not have been held to standards before and may resist. Make parents your allies. Keep parents informed. Ask for parents’ help when school boards, principals, etc need convincing. Don’t be afraid to set the bar high. That all children come to us differentiated. We all have strengths. We all have needs. Parents hope to see a teacher honor those strengths and needs when planning for instruction, because children are more alike than they are different. Relationships are key. Know your students – what they love, hate, wish for..and share of yourself.